The ultimate mobility scooter – enjoy unparalleled driving comfort and performance. Is comfort absolutely essential for you? Then the Trophy is your choice mobility scooter. 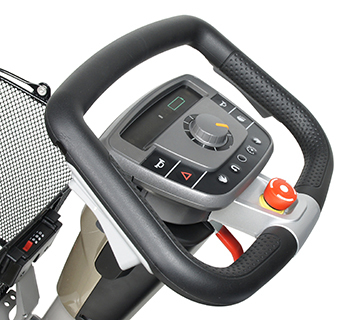 This comfort scooter couples a unique suspension system with optimal ergonomics – ensuring the ultimate in driving comfort. With a choice of 5 stylish metallic colours, you can easily personalize your Trophy. Whatever your journey, this top-quality electric scooter will easily take you there in exclusive comfort and total safety. You have to experience the Trophy’s unique suspension system to truly appreciate it! Together with ultra-light steering and high adjustability this makes for ultimate comfort. 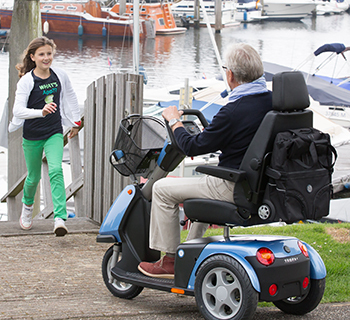 Tailor this mobility scooter to suit your needs, and add your choice of cruise control, foot control and intelligent throttle switch options. 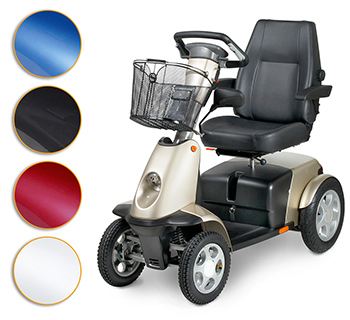 For a comfortable and effortless ride – even if you have severe back problems, rheumatism or a limited hand function. 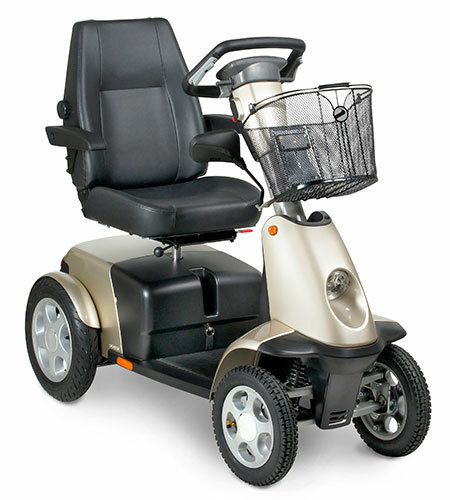 This powerful comfort mobility scooter ensures smooth and stable driving on any terrain. Fancy venturing further? The larger battery size option will help you power away, with a top speed of 15 km/h. You’ll also enjoy excellent manoeuvrability due to the compact design and Intuitive Control Steering System (ICLS) – steers just like a car. 3 wheels or 4, your Trophy will safely take you where you want to go. With the Trophy e-scooter you get a high standard specification plus a large choice of practical accessories, including an attractive storage pack. For even more comfort, a full range of seating options and legrests are available. Stand out? Choose the metallic colour that suits your personal style! 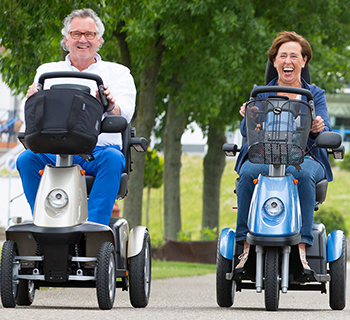 Trophy is your choice for proven quality – the latest of a long established range of comfort mobility scooters. It’s simple to keep both hands on the wheel when driving, if you’re able, but easy and safe if you can only use one hand. The reliable battery indicator, odometer and safe slope indicator are totally reassuring.